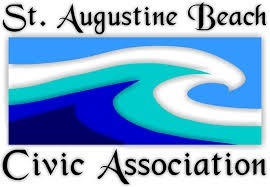 Clean Up City of St. Augustine, Florida: "We're Closing," says St. Augustine Beach Civic Association Treasurer; Is Waiting for SABCA's FINANCIAL Records A Bit Like Beckett's "Waiting for Godot?" "We're Closing," says St. Augustine Beach Civic Association Treasurer; Is Waiting for SABCA's FINANCIAL Records A Bit Like Beckett's "Waiting for Godot?" "We're closing," St. Augustine Beach Civic Association Treasurer Frank Ward has informed me by telephone on Monday, June 11, 2018. Due to loss of the Wednesday Farmer's Market, SABCA will not have enough cash flow to put on "Concerts by the Sea." "I've never closed a 501c" before, Ward told me. I asked Mr. Ward to request that SABCA preserve ALL financial records. I did not get an answer. St. Johns County Commissioners have voted to issue a Request for Proposals. SABCA applied and was rated fourth of four qualified applicants. I've been patienely waiting for SABCA to provide requested records. 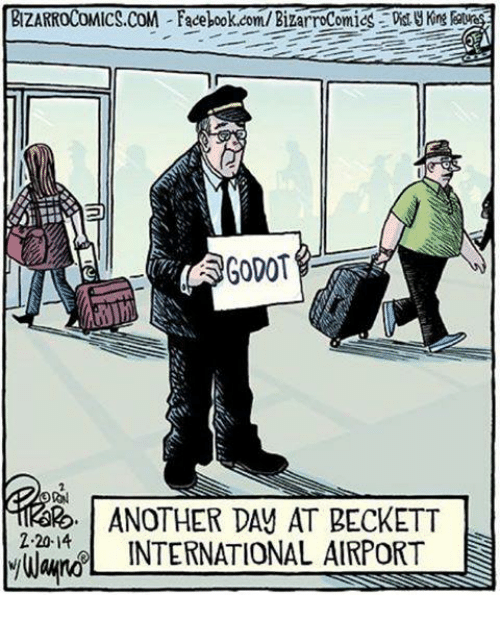 Waiting for SABCA to disclose its financial records is not unlike Samuel Beckett's play, "Waiting for Godot." Will you please provide SABCA's financial records to me and to the St. Augustine Record today, as you promised to do on March 12, 2018? Please include the check registers; ledger journal entries; balance sheets; tax returns and matching financial statements, balance sheets and profit and loss statements, for St. Augustine Beach Civic Association, Inc., for 1999-2018. By phone, during your show on Monday, you told me that you'd be providing documents. Have not received anything yet. Please feel free to e-mail me PDFs or regular mail to my PO Box. I refer you respectfully to the reply I gave 4 days ago. However I would add that I appreciated your kind comments about the show. As Kilgore always says: man gotta ask why, why, why. His copy of Cats Cradle is dogeared. I have not yet received the check registers; ledger journal entries; balance sheets; tax returns and matching financial statements, balance sheets and profit and loss statements, for St. Augustine Beach Civic Association, Inc., for 1999-2018. Will you please send them tonight? Will you please send me the check registers; ledger journal entries; balance sheets; tax returns and matching financial statements, balance sheets and profit and loss statements, for St. Augustine Beach Civic Association, Inc., for 1999-2018?